Tips on how to promote your research and profile as a researcher. What is Find an Expert? 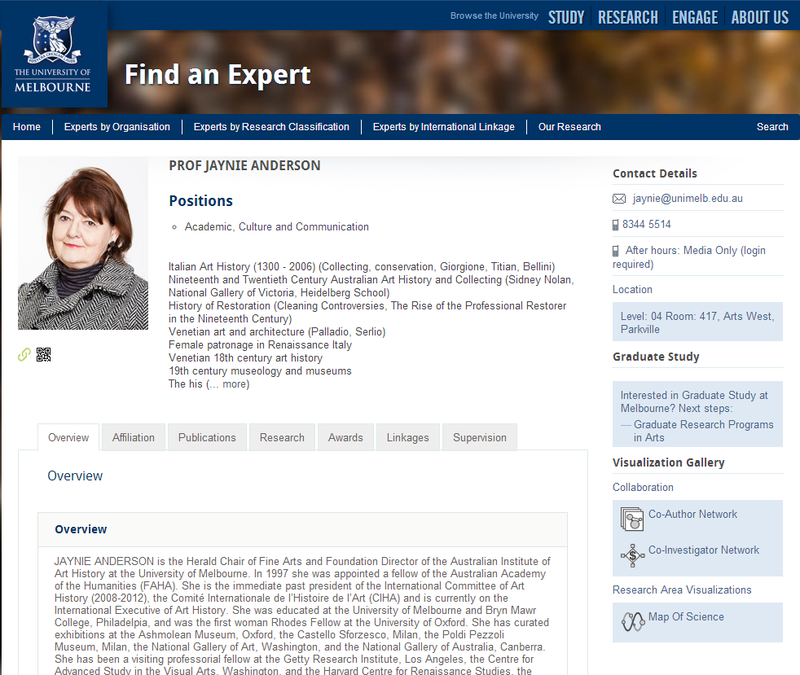 Find an Expert is a search tool that helps people locate researchers from the University of Melbourne. Availability to supervise research students or provide expert opinion. You can also view co-author or co-investigator network diagrams to see who researchers most often collaborate with on publications, or their relationships based on awarded grants and contracts. Screenshot of researcher's profile taken on the 7th of July 2014.